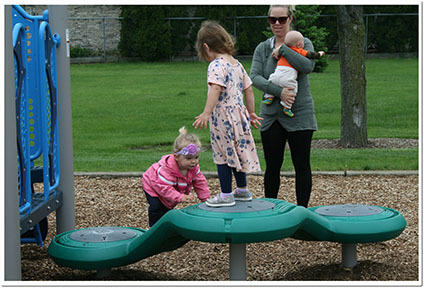 Thank you to everyone who came out on May 19 for our Ribbon Cutting at the wonderful new playground equipment at Deinert Park. A special shout out to Dunkin Donuts, 7935 W 171st Avenue, and The Lucky Hot Dog, 8020 W 171st Street, for providing the wonderful refreshments! 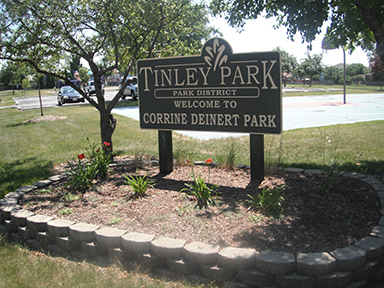 This park is named for Corrine Deinert for her years of service as Park Commissioner and volunteer work with many groups and organizations in the village. 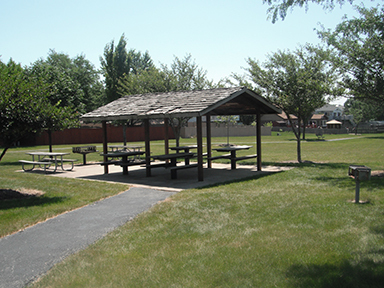 Lovely picnic areas, pathways and a delightful playground await you at Deinert Park. 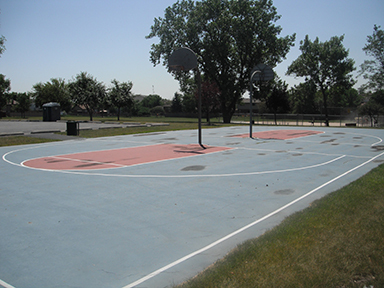 This park offers 6 acres of recreational fun with facilities including a ball field, basketball and volleyball courts.